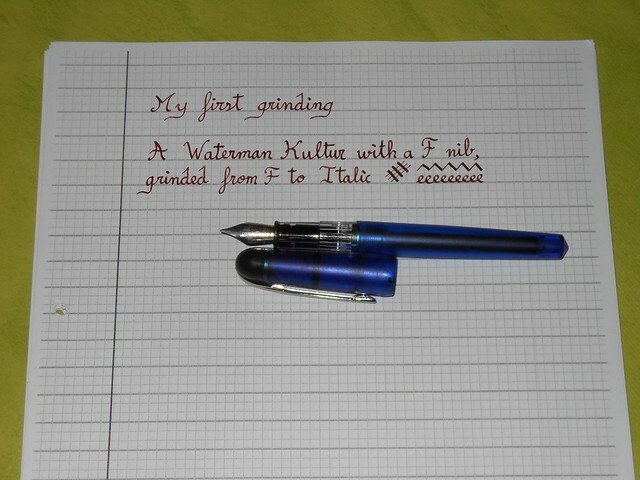 Once again, I've pen a cheap (but surprisingly nice) Waterman Kultur with a fine nib and I've ground the nib to transform it in an italic nib, some intermediate 1.1 mm italic. 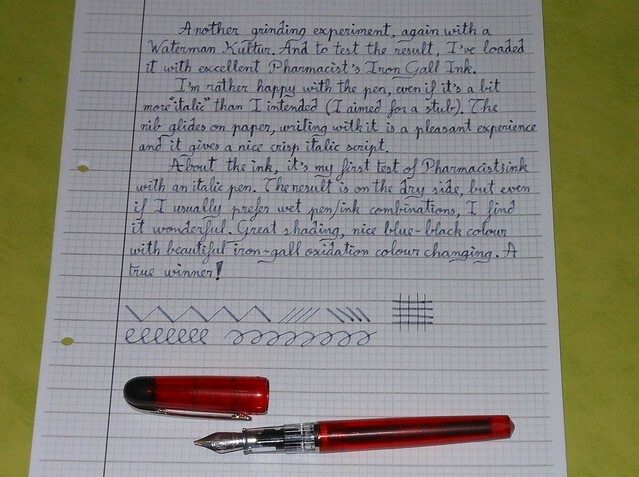 At FPN somebody pointed that my nib won't last as long as an everyday pen, since all the tipping has been removed. Well, it's a steel nib, and the Waterman Kultur is a cheap pen, so I guess that even if it wears quicker than another pen, it won't be a real problem, I don't hope that this Kultur will remain with me for twenty years. 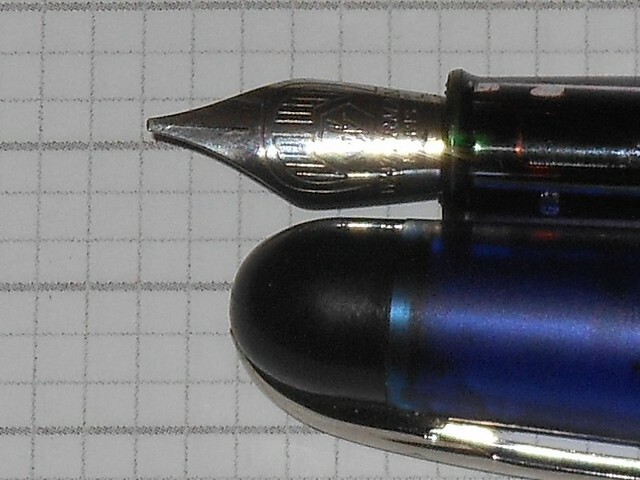 Besides, if I recall correctly, most italic and stub nibs aren't even tipped. 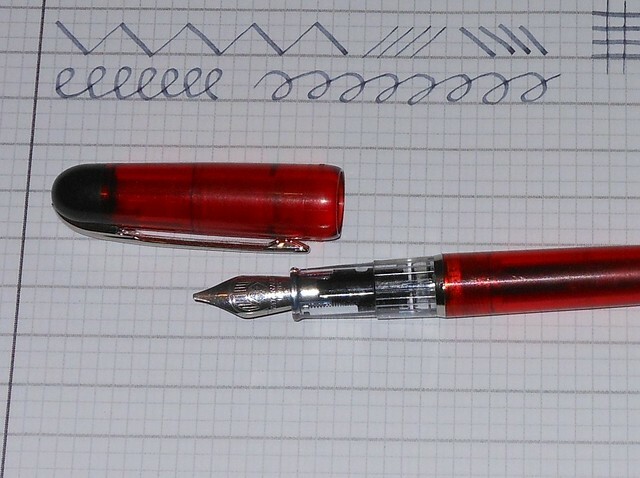 Are Lamy 1.5 or 1.9 stub nibs tipped ?